When a cartilage lesion is elongated in shape, deep, and includes underlying bone damage, your surgeon may choose to use allograft (donor) to replace the damaged cartilage. In an allograft OATS procedure, the damaged cartilage is replaced by healthy cartilage and bone from a donor. 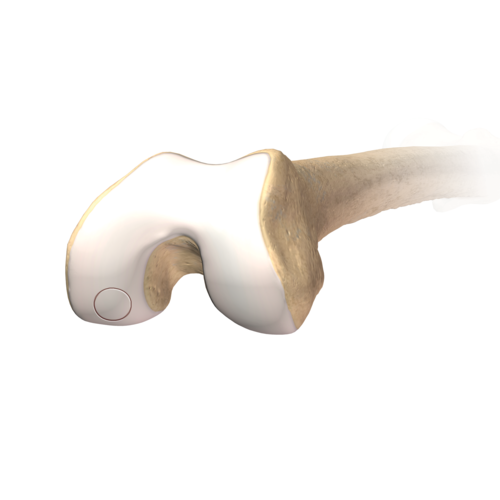 The BioUni OATS procedure is an innovative cartilage replacement procedure that allows the surgeon to replace elongated cartilage defects with a single piece of allograft cartilage instead of multiple circular pieces. When a cartilage lesion is large, deep, and includes underlying bone damage, your surgeon may offer you the option to use allograft (donor) cartilage and bone to replace the damaged area. 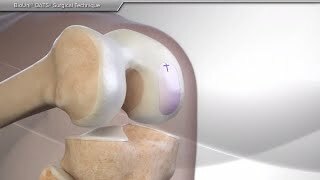 In an allograft OATS procedure, the damaged cartilage is removed and replaced with healthy cartilage from a donor. 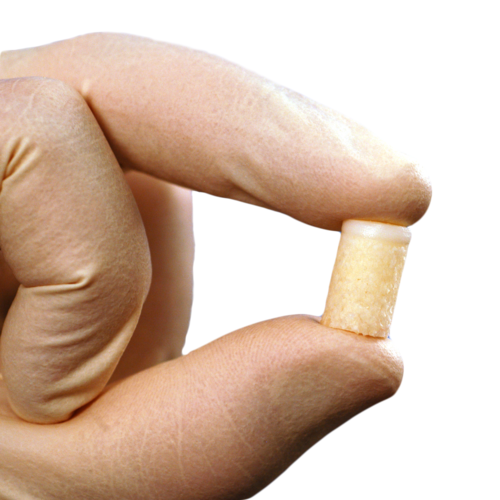 Over time, the allograft incorporates into the repaired area helping to restore function, minimize pain and slow the progression of degeneration of surrounding cartilage. 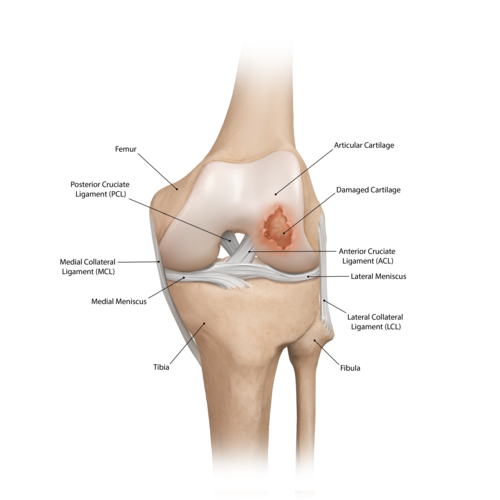 Articular cartilage is a covering on the ends of bone around the joints of the body. This cartilage acts as a cushion, taking stress off of the bones, and allowing them to glide against other bones. Articular cartilage does not have blood or nerve supply. While it does not cause pain when it is injured, it is also unable to heal. Damage to the articular cartilage causes pain because of increased stress on the underlying bone and inflammation in the soft tissue surrounding the joint. Depending on the timing and extent of damage, your surgeon has several options to repair, replace or restore articular cartilage through surgery. When a cartilage lesion is small, but deep enough to include underlying bone, your surgeon may opt to obtain a piece of your own (autograft) cartilage from a surrounding area. This is most common in the knee or ankle, where certain areas of the joint have cartilage that is not vital to function. 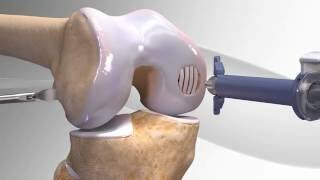 In a minimally invasive autograft OATS (Osteochondral Autograft Transfer System) procedure, the damaged cartilage is replaced by healthy cartilage and bone graft. Over time, the graft incorporates into the affected area helping to restore function, minimize pain and slow the progression of degeneration of surrounding cartilage. Cartilage repair is dependent upon 3 factors: having undefined stem cells in the area, a signal for these stem cells to become a certain type of tissue and a scaffold for the cells to build upon. 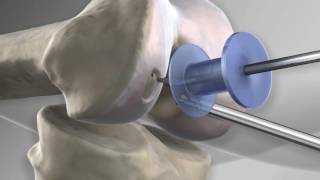 In a minimally invasive surgery using BioCartilage matrix, your surgeon will perform a bone marrow stimulation procedure, otherwise known as microfracture, to bring the stem cells to the affected area. BioCartilage is allograft (donor tissue) articular cartilage that has been recovered in particulate form, making implantation safe, simple and reproducible. BioCartilage matrix mixed with either platelet-rich plasma (PRP) or bone marrow concentrate acts as the scaffold and signal to compliment the stem cells and maximize cartilage repair when you have a small cartilage injury. When a cartilage lesion is large or uncontained, an allograft (donor tissue) may be used to reconstruct the articular cartilage. Your surgeon may perform a bone marrow stimulation procedure, otherwise known as microfracture, to bring the stem cells to the affected area and implant Cartiform allograft to fill the defect. 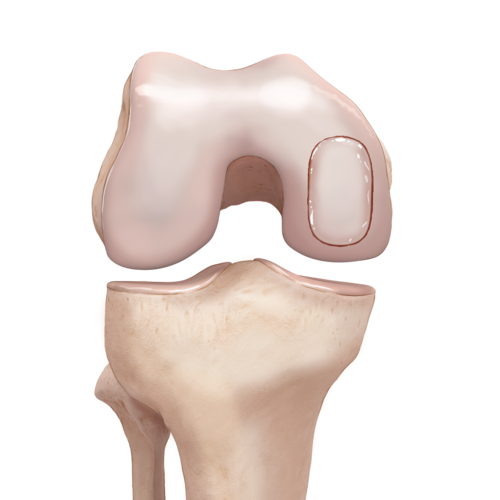 Cartiform is allograft (donor tissue) articular cartilage with a thin layer of bone, providing a scaffold for integration into the affected area with living cartilage cells and the native structure of articular cartilage.